In many states, a juror can be excused if they cannot follow the court proceedings or case because they are not fluent in English. This is not the case in New Mexico. Like just about everything else, there are exceptions to this. In New Mexico, U.S. citizens must serve jury duty even if they are not fluent in English. Why is this true? Because of New Mexico’s history. Before it was ceded to the United States after the U.S.-Mexico War (1846-1848), it was a part of Mexico. Even after it became a part of the United States, New Mexico, then as now, continues to have a large white and non-white Latino population. The language of choice for close to 40 percent of everyone in New Mexico is Spanish. What to do about this problem? The New Mexico state government ruled that Spanish, along with English and Native American languages, can be used as languages of instruction in official circles. This includes court procedures. Like so many parts of this country, there are considerable differences in how the law of this land can be dealt with. For those called to jury duty in New Mexico, translators are provided for those citizens (not foreign nationals) who cannot read, write or speak fluent English. This of course can take time and may delay cases (never a good thing, especially for those being tried), but necessary for trials to be fair and efficient. And of course, translators have to be provided to those accused regardless of whether they are citizens or not. Suspects must have their rights protected. But not just Spanish speaking New Mexico residents are the only ones where jury duty applies to. 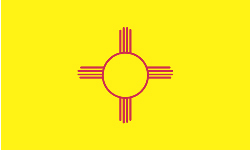 Many Navajos live in New Mexico. In fact, a good part of the Navajo reservation is included in New Mexico. Many Navajos live outside the reservation, and so jury duty applies to them. What makes New Mexico’s case important is that it is one of two states where the language of government instruction is in English and Spanish (the other similar case is Hawaii, but then in Hawaii the state has two official languages—Hawaiian and English). While we are seeing a number of states declaring English as the sole official language, New Mexico has not done so. To do so would be to discriminate against the state’s large Latino and Native American population. Even in jury duty, U.S. citizens must not shirk their responsibility. But, all citizens must have a chance to know what is being said and what court procedures are in order for a trial to be fair and efficient. And under English only laws, this may not be possible.